Queen Elizabeth II of the United Kingdom wears the Burmese Ruby Tiara as she greets Dame Margot Fonteyn, Rudolf Nureyev, and other dancers after the Silver Jubilee Gala at Covent Garden, May 1977; more on the tiara over here! 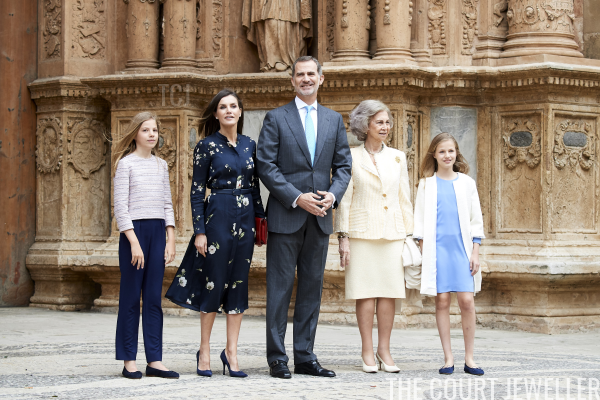 Our review of royal jewels worn this Easter travels to Spain today, where we catch up with the royal family for their traditional Easter appearance. 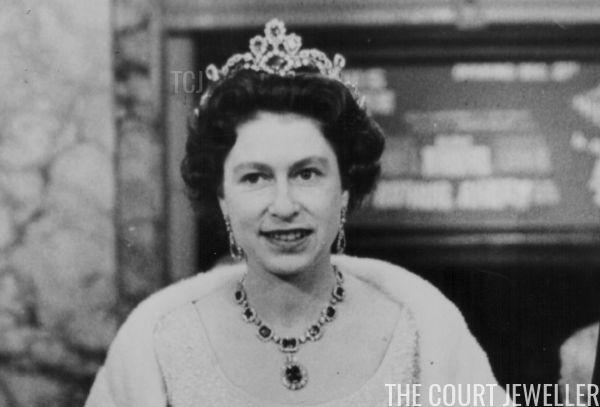 Queen Elizabeth II of the United Kingdom wears the Belgian Sapphire Tiara for the Royal Variety Performance at the London Palladium, November 1965; learn more about this intriguing royal tiara over here! 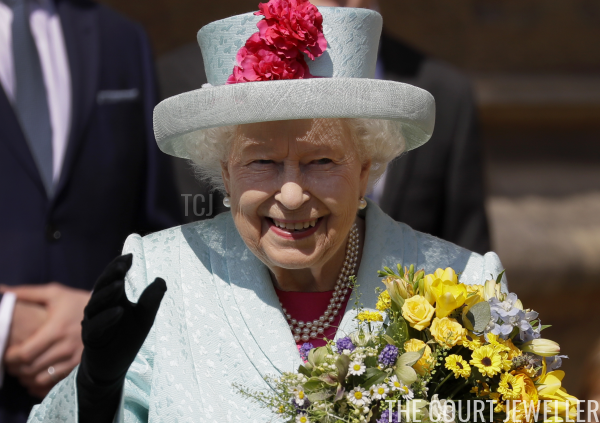 On Sunday, the Queen celebrated both Easter and her 93rd birthday at Windsor, surrounded by her family. Here's a look at the jewelry we saw during their annual Easter Parade. 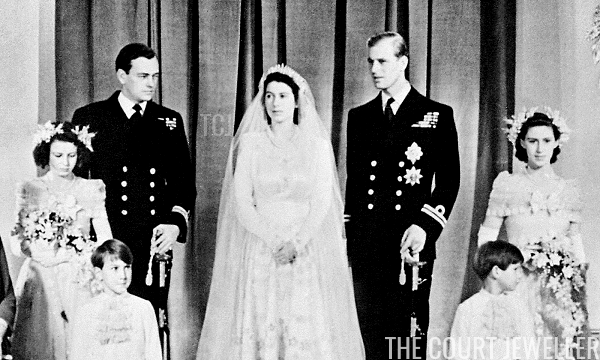 Princess Elizabeth of the United Kingdom wears Queen Mary's (hastily-repaired) Fringe Tiara on her wedding day, November 1947; read more about the famous tiara mishap over here!